If you’re like me, your undergrad university days are somewhat fond, yet anxiety-inducing memories of sleeping in, exam cramming, skipping lectures, and coffee. Lots of coffee. Uni was also the first time I saw, and had access to, excess alcohol – on campus, through my seemingly ever-drunk friends, and the never-ending rotation of on-campus and house party events – everyone was drinking. With recollections like my own it’s pretty unsurprising that alcohol use among university students has long been a concern. And with recent reports like the Australian Human Rights Commission’s Change the Course identifying alcohol as a key contributor to the unacceptable levels of sexual assault and harassment occurring at Australian universities, it’s pretty clear something’s got to give. Enter: Reduce Risky Drinking, a campaign aimed at informing and empowering students at the Australian National University (ANU) and University of Canberra (UC), with the truth about the levels of alcohol use among students. As I experienced at uni, risky drinking is highly visible, giving the impression to fresh young first years that getting drunk at uni is more common than it actually is. Less visible is the behaviour of light drinkers or people who don’t drink at all. At the risk of dumbing down my young, care-free, #unilyf self, monkey see, monkey do. In fact, findings from a survey undertaken by the Foundation for Alcohol Research and Education (FARE) last year confirm that first year students overestimate the volume and frequency that their peers are drinking, and that their classmates have more permissive attitudes towards drinking than is actually the case. Similarly, the Change the Course report highlighted the alarming culture in which there is a strong pressure to drink to excess among university student peer groups, particularly those belonging to residential colleges. Some quick, fun facts about university students and alcohol use: one in four first year uni students don’t drink at all; one in five drinkers never drink to get drunk. Evidently, getting sloshed every other night actually isn’t norm for many uni students. Young me would have had a hard time believing this, because that’s not what I thought I was seeing. This is why the Reduce Risky Drinking campaign is so important. It adopts a social norms approach setting the record straight about misperceptions of alcohol use on campus – helping students to feel OK to say no to another drink – or even not drinking at all. What a younger me also didn’t know is that alcohol use is associated with a myriad of short and long-term harms, not to mention nearly 6,000 alcohol-related deaths in Australia each year. Sure, most people know about associated short-term harm including accidents and injury. And to university students, long-term harm from alcohol might not seem relevant – but it is insidious. Alcohol use contributes significantly to the burden of cardiovascular disease, liver disease and mental health problems, and five per cent of all cancers are attributable to alcohol. We also now know that upwards of one in five breast cancers are caused by alcohol. Add to this the fact that for many undergraduates, the brain is still developing and that alcohol is known to interfere with brain development; and heavy drinking can cause permanent damage to the memory. Had I known this then, I probably would have cared. The Reduce Risky Drinking campaign, part of the broader project, Risky Drinking among undergraduate university students – a social norms based approach was launched this week at the ANU and UC, providing information from the FARE survey in the form of posters and digital displays. Students are encouraged to engage with the campaign on Facebook, Instagram (@reduceriskydrinking), and Twitter (@reducedrinking) to share content and add their own experiences across social media platforms using the hashtags #reduceriskydrinking and #createanewnorm. Jemima Turner is a Communications Officer at the Foundation for Alcohol Research and Education with a background in lobbying and politics. She is passionate about advocating for the community in the fight to reduce alcohol harm. 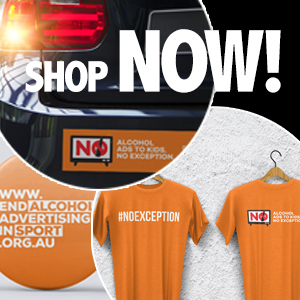 Last week was a big week for the Northern Territory in its ongoing efforts to reduce the unacceptable level of alcohol harm.